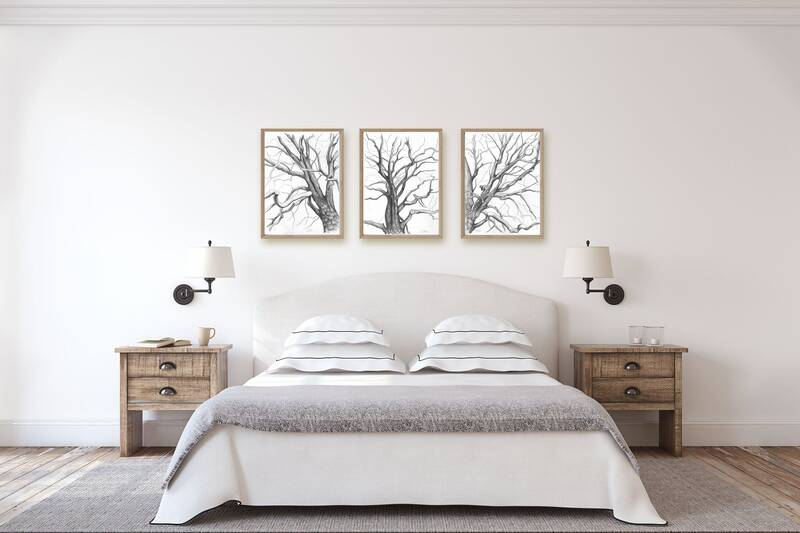 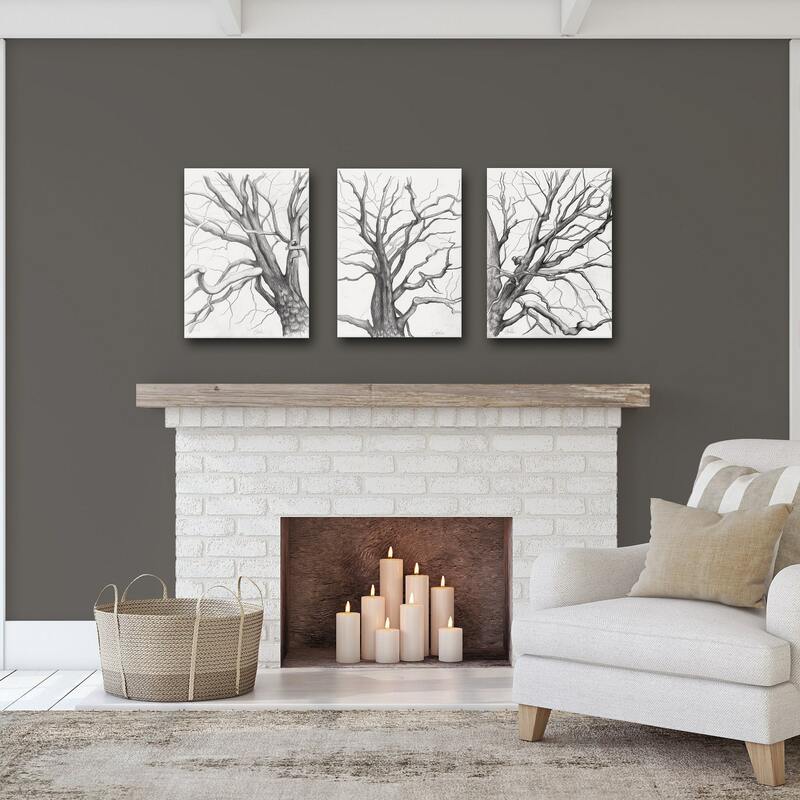 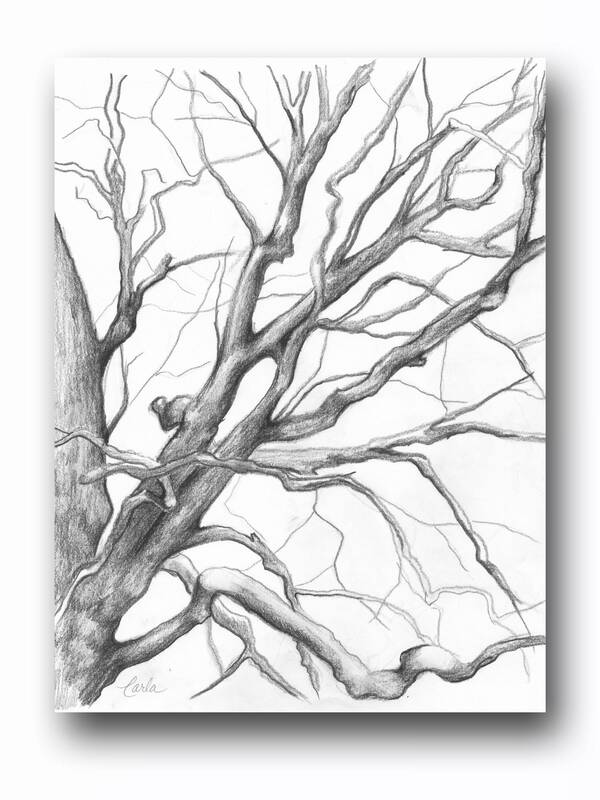 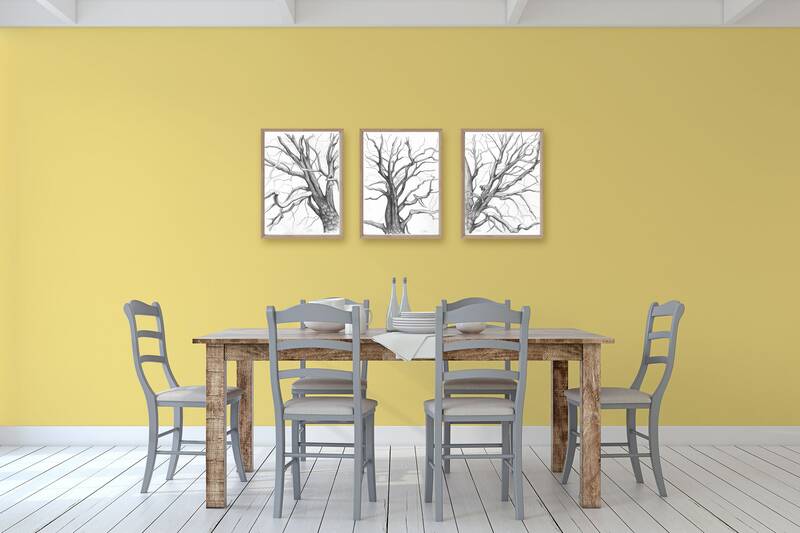 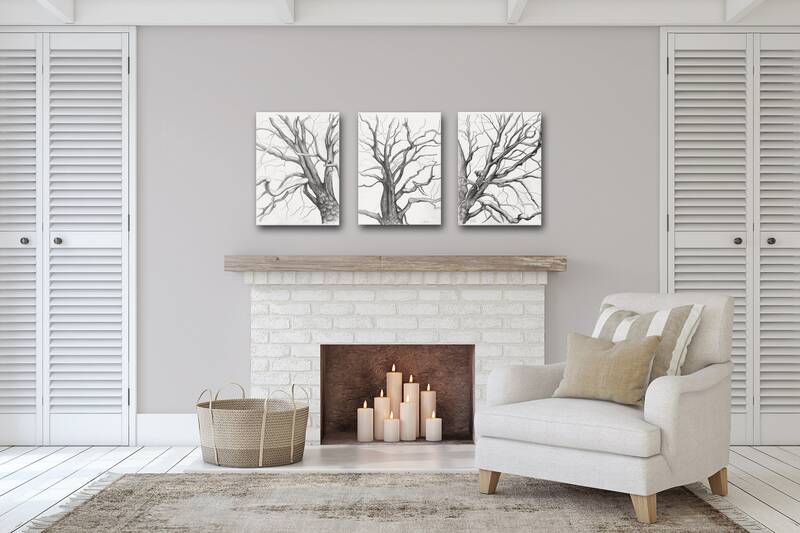 Set of 3 PRINTS of original drawings in charcoal pencil of a tree with twisting branches in winter. 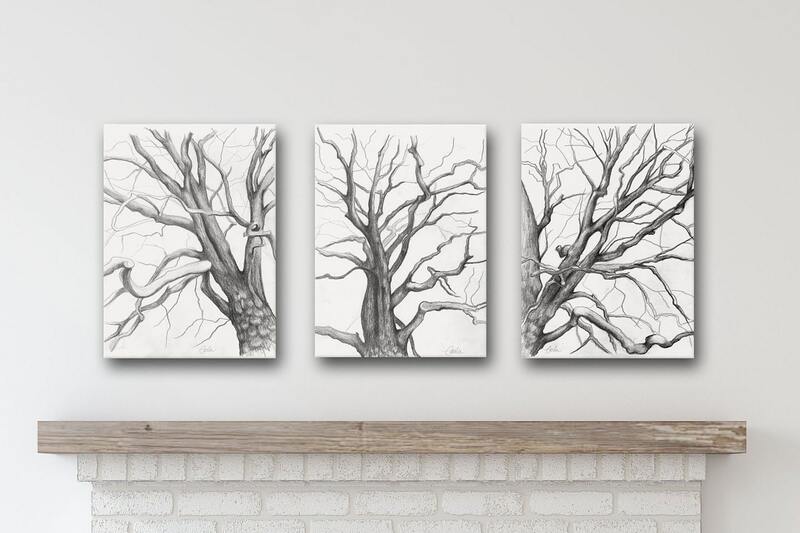 This is a series of three drawings done as studies for oil paintings in the "Branches Collection" designed and drawn by artist Carla Thomson. 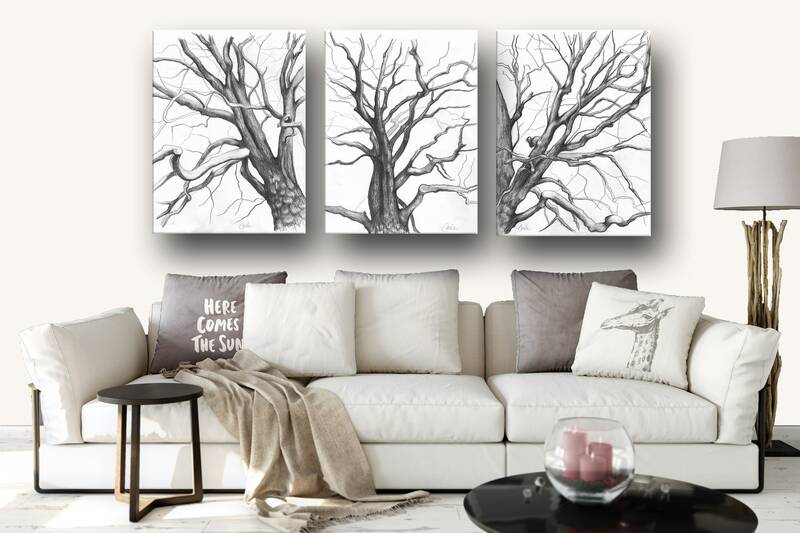 The inspiration: This is 3 different perspectives of a single tree I encountered on the beautiful grounds of the Lyndhurst estate in New York. 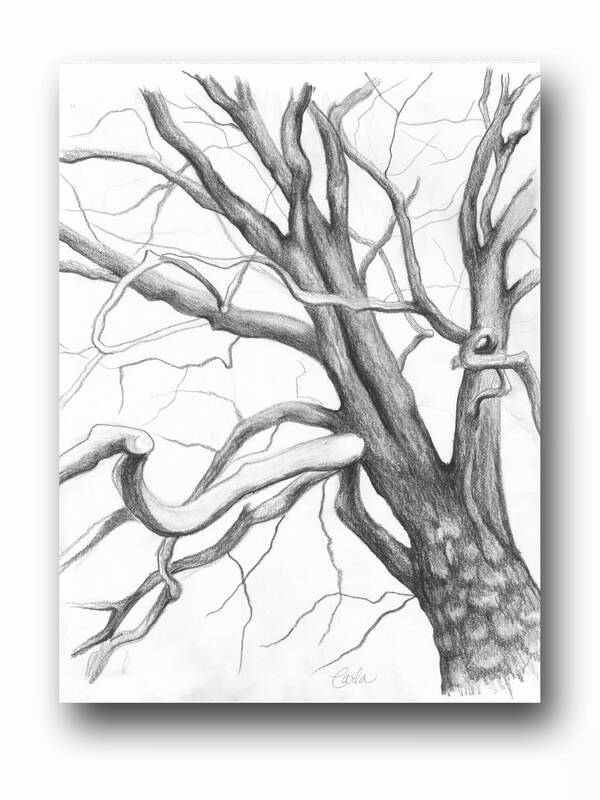 I'm reluctant to admit that I don't remember what kind of tree it is. 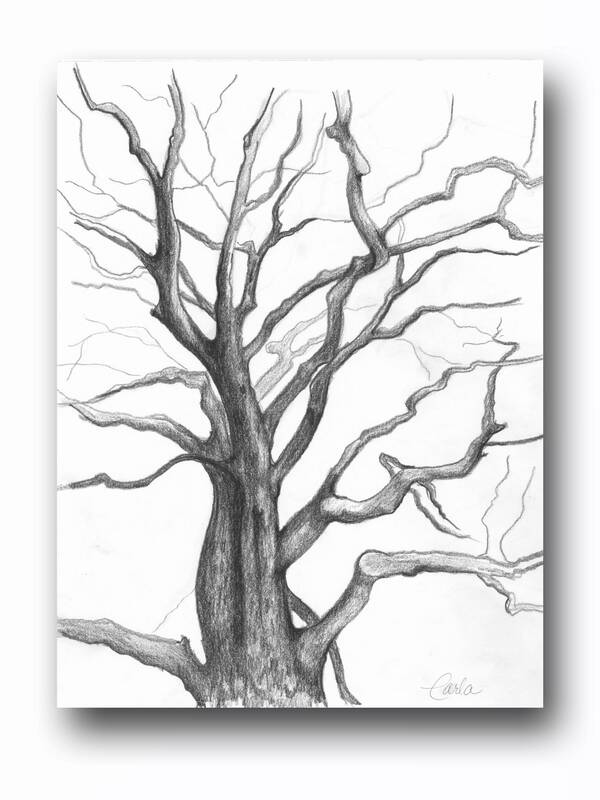 I get so caught up in the visual image and forget everything else.